In recent Gunpla screen, there is a cute Gunpla who took the ladies and guys by storm. 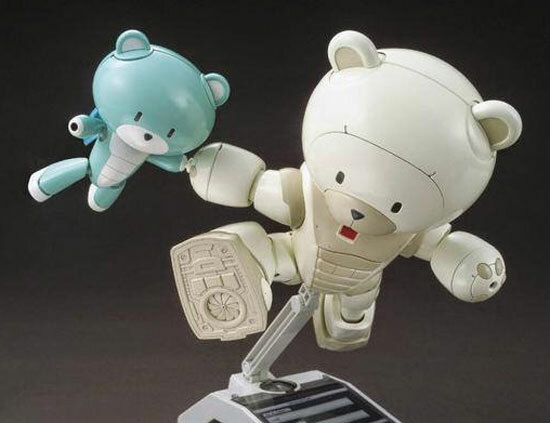 And it is not a Gundam but a Gunpla named BearGuy! 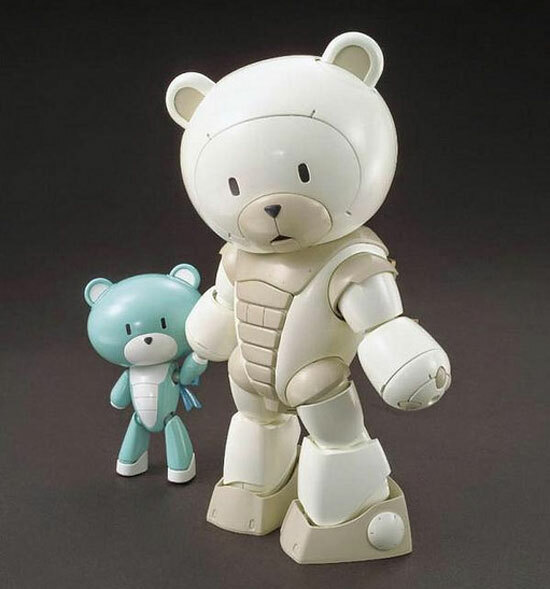 The second version was a big hit and just when you think it was the best and most cutest it can be, Bandai releasing another HG BearGuy with a little BearGuy! Meet the BearGuy F which F stand for Family. Unlike the previous version, these Family version do not have weapons accessories. 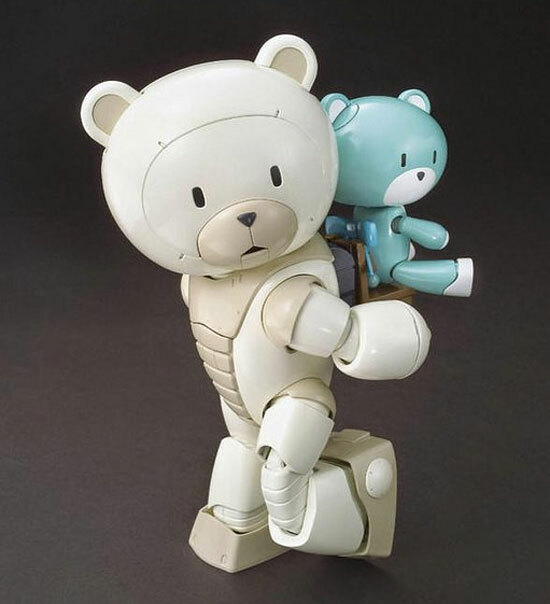 The only feature was the big BearGuy to carry the small BearGuy on his back. Do note both can hold each other hands and the Big BearGuy has the mouth open features. 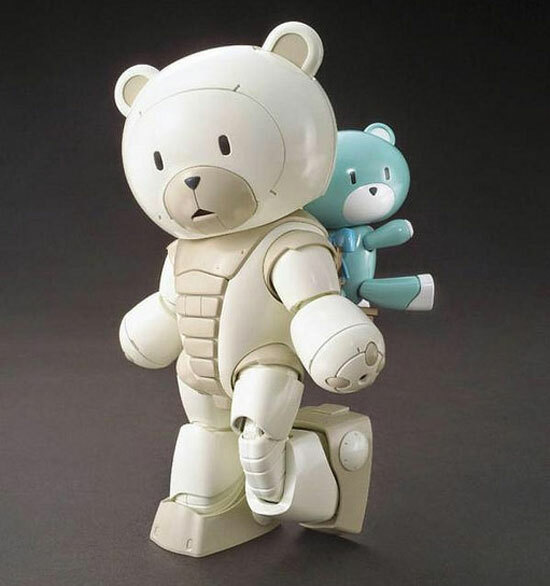 If you have not gotten any BearGuy, this set would be the best to have.